The Screwfix Foundation exists to support projects that will fix, maintain, improve and repair charitable and community facilities for those in need across the UK. 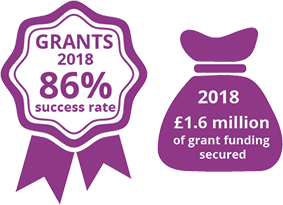 Grants are available to registered charities with projects that relate to the repair, maintenance, improvement or construction of homes, community facilities and other buildings. Applicants must be able to show that the project will benefit people in need either through financial hardship, sickness, disability or other disadvantage and that the project will be environmentally friendly. Funding has previously been awarded for the redecoration of a community café, a purpose-built hub for a dementia support group and for the refurbishment of a kitchen and foyer area of a theatre company.